Onlyfire Electric Push Button Igniter is a universal fit electronic igniter system. 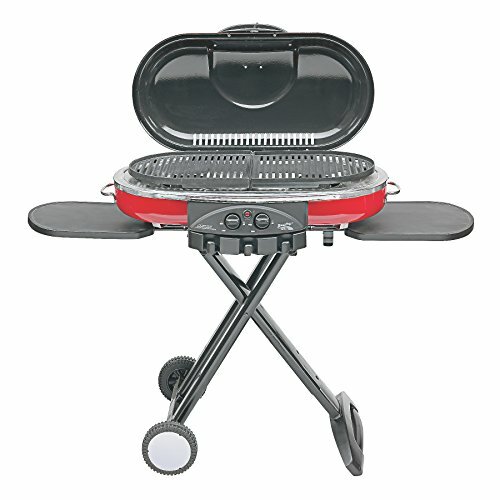 It connects to up to 4 burners, and is a replacement part for your grill. This universal igniter fits almost all makes and models. 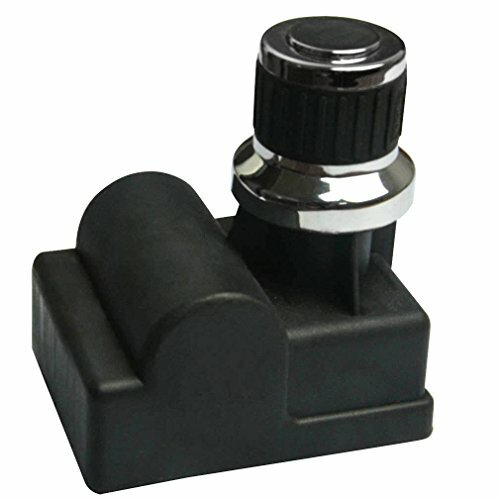 This universal fit electronic ignition replacement module fits most grills. With its highly durable design, you can ensure that your grill lights up each time. Exact-fit parts ! Cooking better, Durable construction and Lasts longer! . hank you for buying Onlyfire Branded Grill Rotisserie Replacement Parts. . Welcome OEM / ODM orders. 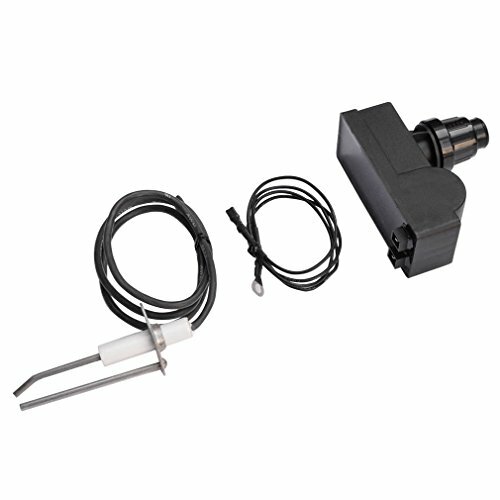 The Stanbroil Push Button Ignition Kit is a simple, yet hugely beneficial accessory to your burning unit. 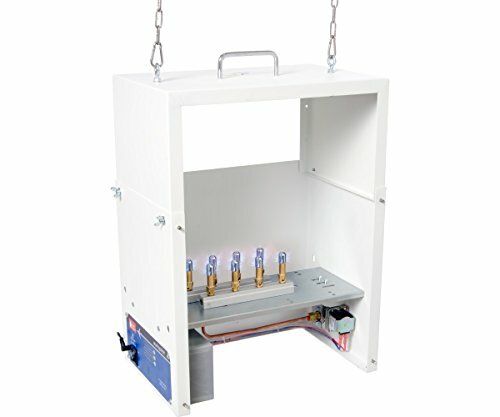 This kit provides spark ignition for your unit, making the ignition process easier than ever! Spend more time enjoying your guests, while your burner ignites at the push of a button. 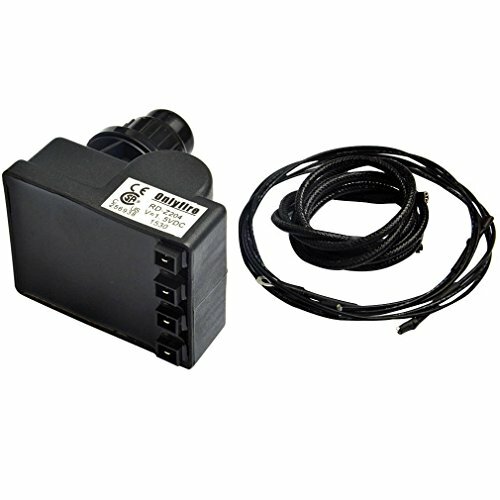 Type: Flame Control System Overall Depth: 20" Heat Output: 150,000 BTUs Unique Feature: Works with AAA battery Items Included: Switch, igniter, and leads & ground wire This easy to use switch arrives with the included igniter and leads needed to function correctly. 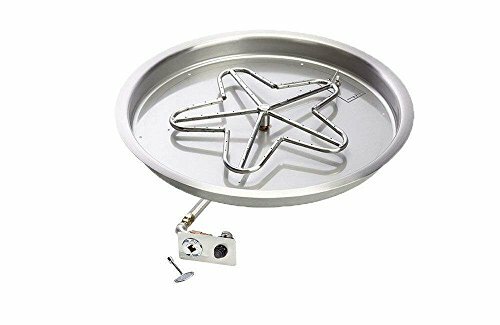 will turn your manual ignition fire pit, fireplace, gas burner into an easy to start push button ignition. Running with a standard AAA battery, This battery operated igniter will cause a spark to ignite the gas when you depress the button, similar to your electronic ignition BBQ. This kit is designed to work with units providing 150,000 BTUs or less. Genuine Original Equipment Manufacturer (OEM) parts! 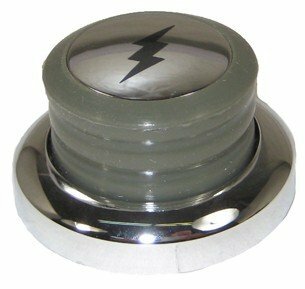 This igniter switch button (part number 81316) is for gas grills. Igniter switch button 81316 makes contact with the igniter to light the burner when you push it. Wait until surfaces are cool to the touch before installing this part. Wear work gloves to protect your hands. For Weber. Weber Igniter kit for Summit gold/platinum D4 Fits the following models - 5740001 Summit Gold/Platinum D4 Gas Grill, 5840001 Summit Gold/Platinum D4 Gas Grill, 7740001 Summit Gold/Platinum D4 Gas Grill, 7740501 Summit Platinum D4 Built-In Gas Grill, 7840001 Summit Gold/Platinum D4 Gas Grill, 7840501 Summit Platinum D4 Built-In Gas Grill Includes: (1) 6-output ignition module (1) 16.25" white electrode (1) 8.75" yellow electrode (1) 10.5" blue electrode (1) 4-pc igniter switch assembly (1) Ignition switch - wire (1) 28" blue IR electrode wire (1) 5" black ground wire (1) White S/B wire (1) Ignition module tie wire (3) Manifold tie wire (1) AA battery (2) 8-32 x 1/2 black Philips pan head screw Please visit Weber's website at http://help.weber.com/schematics/#serial-number to ensure you order the correct parts for the specific year of your grill model. Parts can appear to be identical but not fit certain year models. It is best to look up by serial number. The link will also help you find the alpha-numeric serial number. The PHOEN47X25-SFIRE-EI-NG-120VAC On/Off Electronic Ignition Natural Gas Fire Pit by HPC provides a complete fire bowl/pit unit that is as beautiful as it is durable. The Phoenix hammered copper bowl features an oil-rubbed bronze finish for a unique presentation and durable construction. The rectangular bowl pan holds the 30-inch S-burner, all of which is made of premium 304 stainless steel to offer top-notch durability and longevity of your unit. 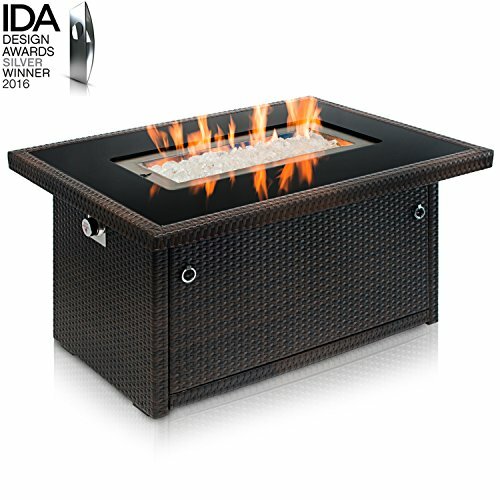 The Phoenix is characterized by the decorative vent that provides a safe fire pit environment. This kit is sure to create a one-of-a-kind flame presence while instantly upgrading the ambiance of your backyard paradise. 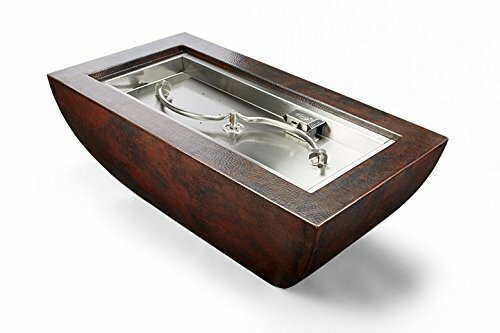 The PENTA19-FPK-NG Push Button Spark Ignition Natural Gas Fire Pit with 31-inch Bowl Pan by HPC combines high quality construction and convenience for your gas fire pit project. With the push of a button, you'll have complete control over your fire pit thanks to a battery powered spark ignition system. This penta shaped burner is constructed from high quality #304 stainless steel and is machine welded to produce a seamless and durable final product. Each burner is constructed with staggered burner ports to create a more realistic flame and features a 1/2-inch female gas inlet. This unassembled kit includes stainless steel pan and burner, push button ignition switch and igniter, chrome decorative key valve, fittings and flex line. Natural gas only. Looking for more Burner Ignition Switch similar ideas? Try to explore these searches: Basic Trouser Socks, Polished Nickel Coffee, and Hockey Medallion. Shopwion.com is the smartest way for comparison shopping: compare prices from most trusted leading online stores for best Burner Ignition Switch, sd770 Is Digital Camera, Birthday Cakes California, Switch Burner Ignition . Don't miss this Burner Ignition Switch today, April 24, 2019 deals, updated daily.